Ideal for repairing large diameter pipes that can’t be removed or are in confined spaces, VIPSeal® wraparound couplings allow you to repair with the damaged section in situ. 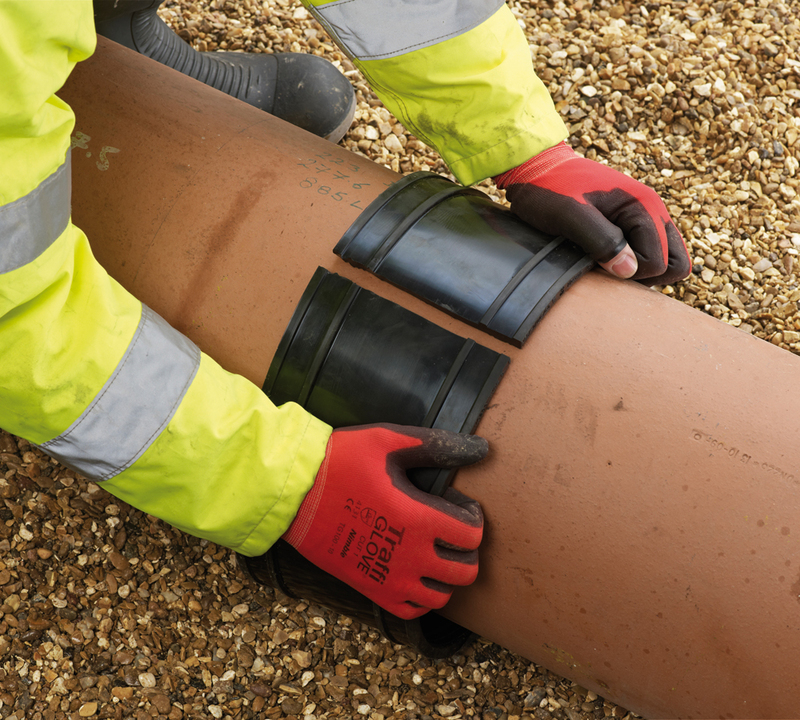 The elastomeric seal wraps around the pipe, followed by the centre band and outer clips, to cover the damaged area of the pipe and create a watertight seal. All wraparound couplings are made to order. To repair isolated damage to the pipe e.g. a fracture or a void in the pipe wall. Creates water tight seal over the damaged area of the pipe. Our simple, step by step walkthrough will show you exactly how to install the wraparound couplings from beginning to end. View all sizing options for VIPSeals® wraparound couplings in our information table.